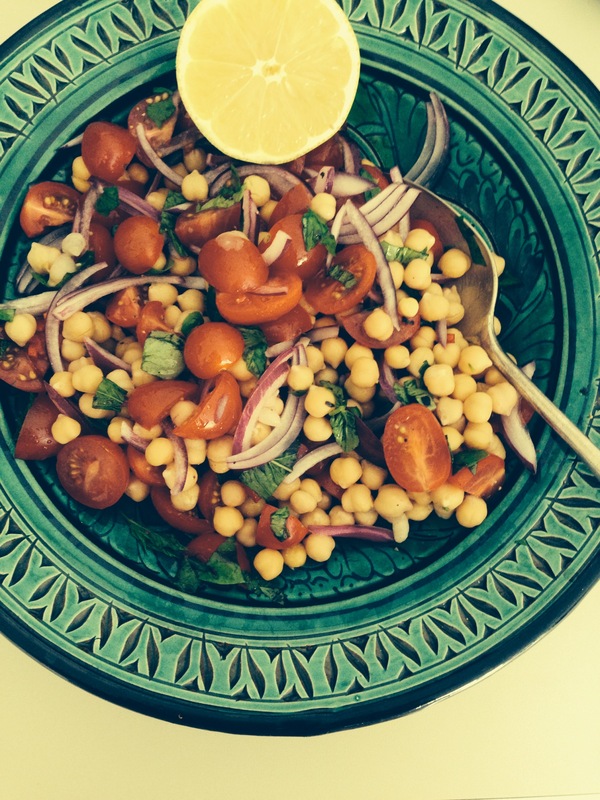 What do you think of chickpeas (are they called garbanzo beans in the USA)? I’m a bit unsure – they’re great whizzed up, but so often I find them dry and pasty. So when I started experimenting with chickpea salad ideas I really, really didn’t think I’d like any of the end results. 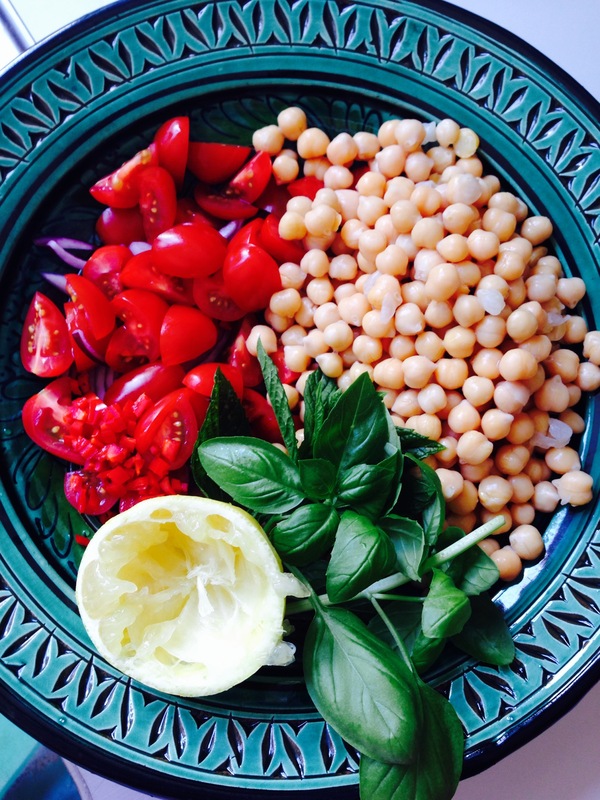 How wrong I was – left to marinade in a flavourful, zesty dressing, the chickpea can become a pulse of note! 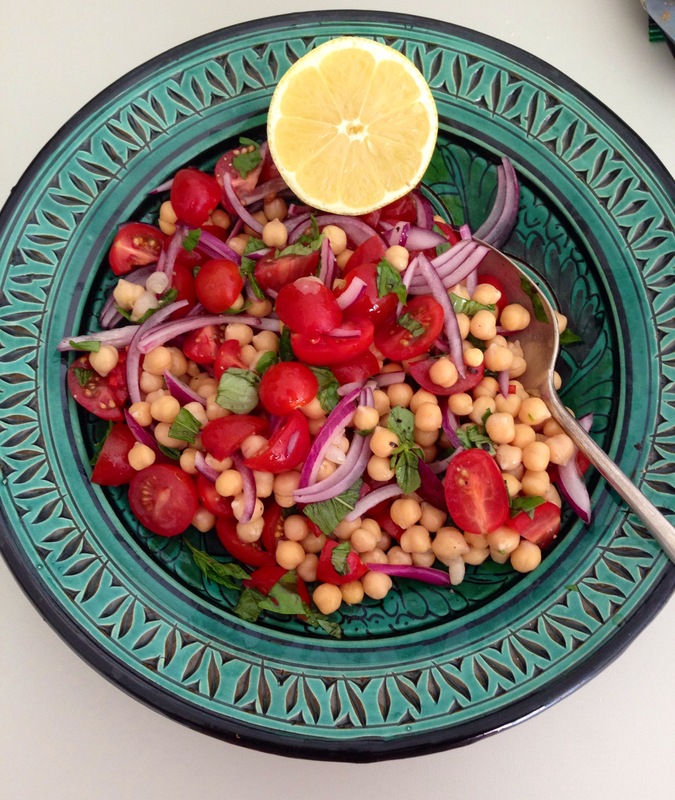 Terribly simple to make, but rather stunning to look at, this salad has converted me! Next step, to find a cooked chickpea recipe that also delights my taste buds! – Whisk together the lemon, oil and salt. Taste and set aside. – Combine all the other ingredients. – Leave to marinade for at least 2 hours before eating. Well this looks really nice. Great photos! have you got Hugh Fernley Whittingstall’s Veg Everyday? there is a great recipe for north african chickpea and squash stew. i don’t like squash or chickpeas that much but i love that dish (l leave out the pasta and serve with couscous instead – means the left overs are more useful). i am really enjoying your blog – lots of lovely ideas. Thanks! I’m slowly being converted, but I’m not sure it’ll ever be true love!! I love them all the way, roasted they are even more fantastic! 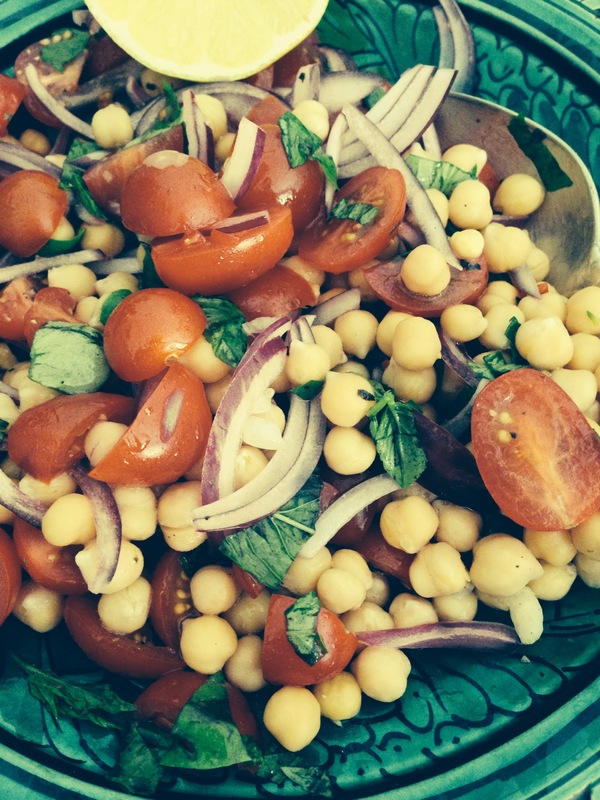 I love this easy combined salad a lot, often I vary the ingredients . I also love chickpeas in tofu scrambles or even in an omelette!